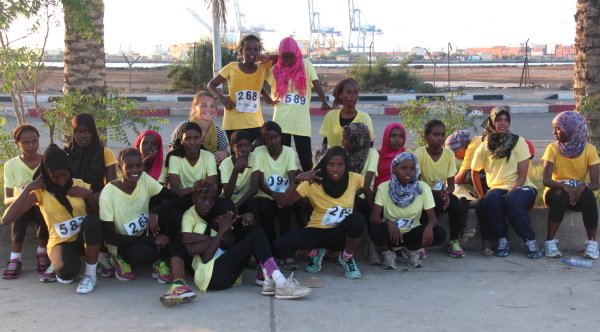 Girls Run 2 are the runners in blue. Check out the beautiful new Balbala stadium. 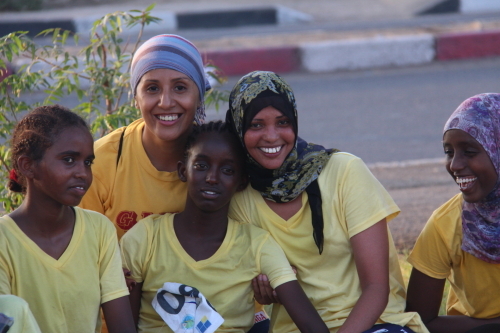 The team rocked it, with two members going under 5:00 in the 1500-meters, something no Djiboutian girl had ever done until Sabad did it in 2014.